Perfect for World Book Day, Seuss Day, a birthday or just everyday!! Your little one won't want to take this dress off. 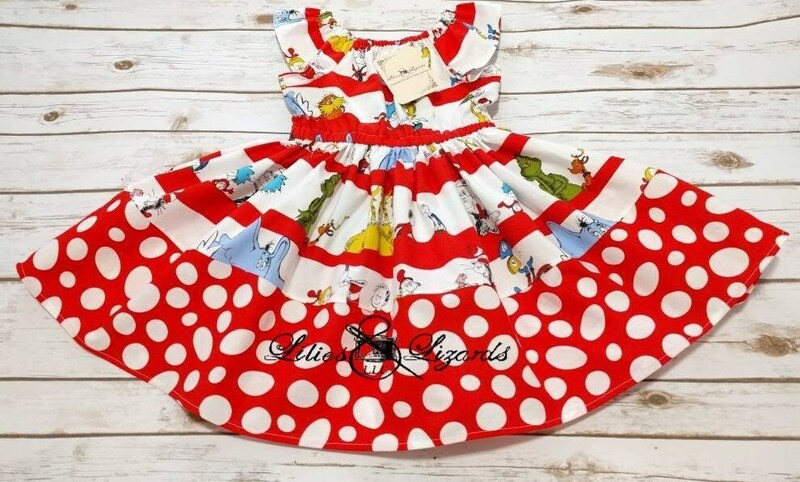 Cotton fabric featuring all your favorite Dr Seuss characters in a bright, fun print! Professionally made with quality fabric that has been pre- washed and dried to prevent garment shrinkage. Full skirt, flutter sleeves and elastic neck/waist.